Even as the Schalck family struggled with overwhelming grief, her father remained grateful for the kindness of the people who knew her. FORT THOMAS, Kentucky — Thirteen-year-old Lilliana Schalck, who died unexpectedly this past weekend, was a flyer, her father said. At just 4-feet-10-inches and 80 pounds, the cheerleader was perfectly suited to being tossed into the air by her teammates, topping their human pyramids and landing safely. 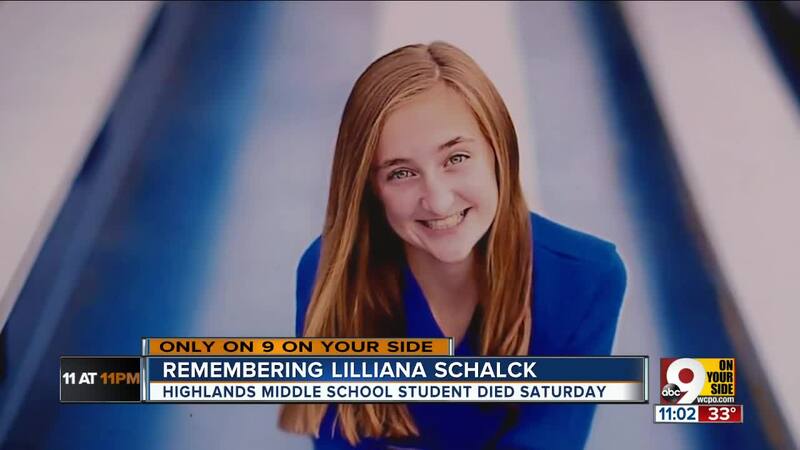 Doctors still don’t know exactly what happened to the eighth-grader Saturday. Her father was waiting to watch her perform in a Columbus cheer competition when she told her teammates she had begun to feel sick. Her limbs tingled; she felt weak. Dehydration, Dan thought at first. Maybe anxiety, although she had never struggled with that before. The team called an ambulance, and Lilliana was alert enough on the ride to respond to questions. Doctors ferried her from the ambulance to the emergency room to intensive care. Whatever happened, they couldn’t stop it. Less than two hours after she had begun to feel sick, she was gone. He still doesn’t know. But Monday night, the wound still fresh, he was comforted by the Highland Heights community’s outpouring of love and support for his strong-willed, high-flying daughter. She was a middle school student, but she was talented enough to compete with high schoolers. She was a ferocious competitor, but she loved her friends. Even as the Schalck family struggled with overwhelming grief, Dan remained grateful for the kindness of the people who knew her. “There are really kind and good-hearted kids,” he said.